Happy people let themselves be happy. 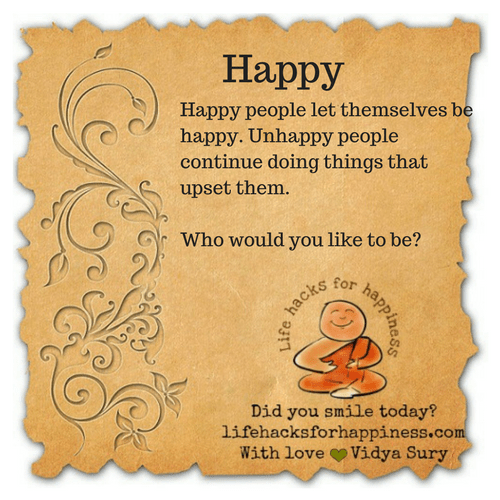 Unhappy people continue doing things that upset them. Who would you like to be? Happiness is a choice. It’s so hard to see that unless we’ve grown in our journey, but it happens, soon am sure. Indeed, Rads! 🙂 Good to see you here!